IIT – JEE-Advanced – A name that has been burgeoned over the past 60 years, is heralded as the most competitive, most challenging entrance exam in the country. Cracking IIT -JEE is a highly cherished dream, sought-after by many, and achieved by a very exclusive group of people who redefine hard-work and perseverance. Any student that preps for IIT – JEE knows that every step he takes, would need meticulous thinking and intense premeditation. Every IIT – JEE aspirant would want their journey to begin on the right foot. The first thing he needs to decide is which IIT – JEE coaching classes he wants to enroll into. Coaching classes form the nexus of a success recipe to cracking IIT – JEE. Choosing which institute will make him realize his true potential, is a decision that requires a lot of mulling over, and one can’t afford to rush it. And that’s when he finds himself at a crossroads –when he is deluged with a barrage of options. Unwavering determination, persistence and willingness to succeed stems from within but these do not quite cut the mustard unless supplemented with proper guidance, mentoring and peer support. Even though there is no substitute for hard-work, one also needs to employ efficacious strategies that optimizes preparation. This is where coaching classes come into the picture. Coaching classes make use of an extensive, elaborate and highly effectual tried-and-tested system that is a proven formula for success. Strategizing, proportionate resource allocation, time management are some of the skills that coaching classes help bolster. 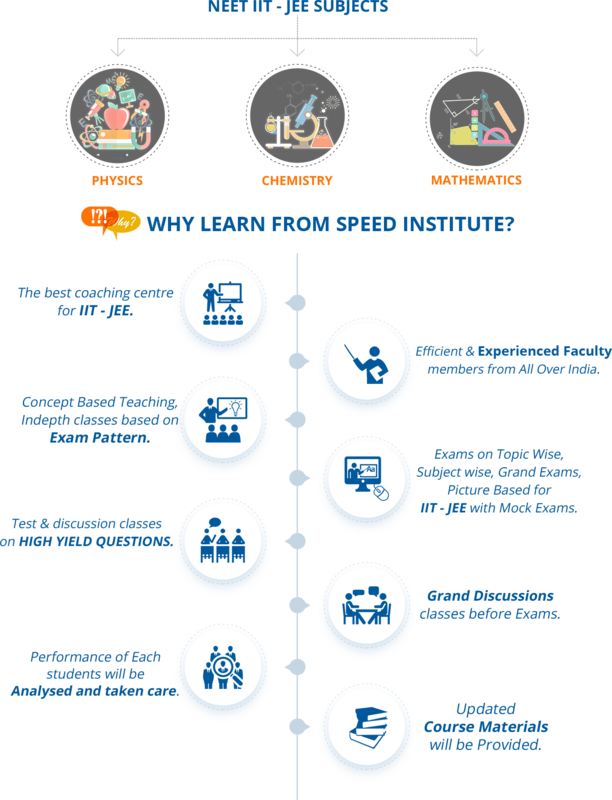 SPEED Institute was there in the Entrance coaching field for past 15 years with Highly qualified experienced faculty , effective education system, updated material, exam oriented test series.  Speed trained more than 65000 doctors across country and make them to achieve their goal in entrance examination. Discussions, Interactions and solutions are always the best modes of educating. Talk more to learn more, we follow this in our Regular mode of teaching. Individual attention makes us being more special. Learning capabilities are rolled high with SPEED Regular mode of Teaching. Capturing moments and relishing brings charm. We bring the same in our teaching too with SPEED Online mode. The videos of our training are captured for those who missed being a direct part but could never be departed from us. Our Online mode always brings us close when it comes to teaching.